Water Supply Wells for your home, yard and garden. 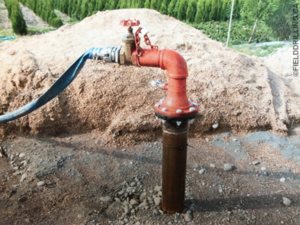 Borehole Drilling for Dewatering, Water Supply, Monitoring Wells and more. Welcome to Field Drilling Contractors Ltd.
Nearly a third of Canada’s population (10 million people) depend on groundwater for safe drinking water and more than 80 per cent of our rural population depends on groundwater for its entire water supply. 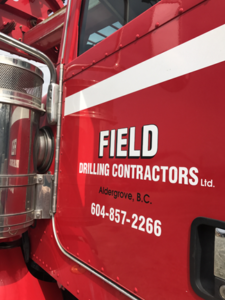 Field Drilling Contractors Ltd. are British Columbia’s drilling experts specializing in domestic wells, irrigation/commercial wells, elevator shafts, industrial drilling, piezometers, dewatering and mining. 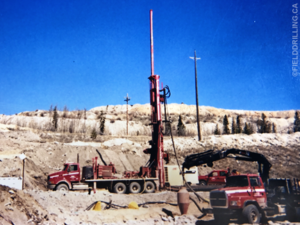 Whether your project is a single water supply well for your home or a series of wells for your construction project, Field Drilling Contractors has the right tools and knowledge to assist you. I have worked with Field Drilling since 1994 and consider them to be very capable, organized and reliable. 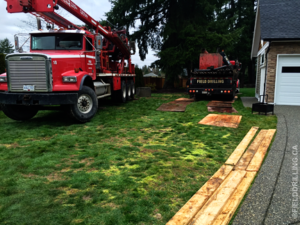 They are definitely a go to contractor for challenging drilling contracts. Kevin Bennett, P.EngGolder Associates Ltd.